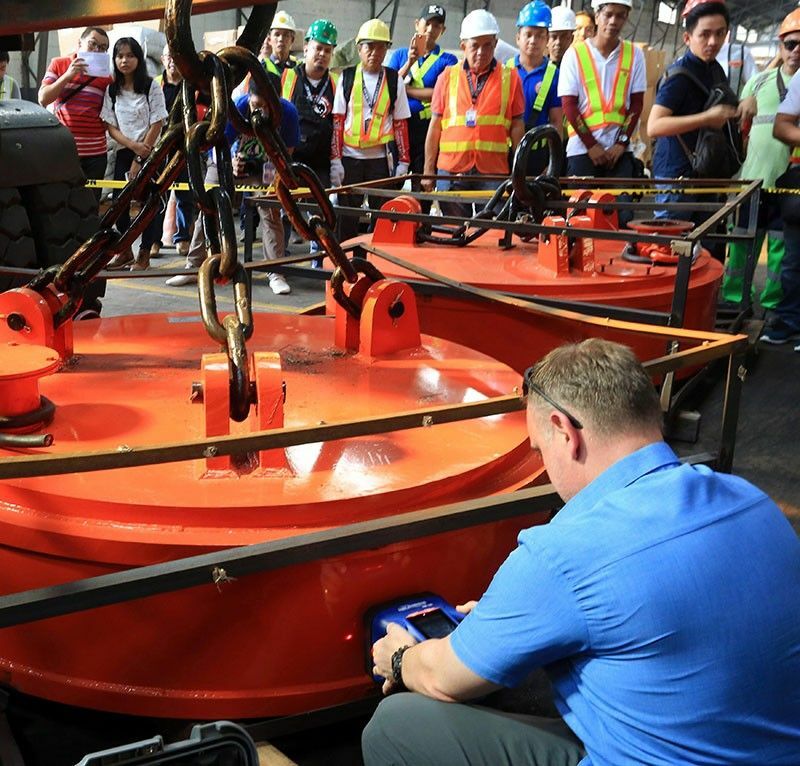 A member of the US Department of Homeland Security uses a portable x-ray machine to detect if a magnetic lifter contains illegal drugs, at the Bureau of Customs warehouse yesterday in the Port of Manila. MANILA, Philippines — The Senate will conduct its own inquiry into the continued smuggling of billions of pesos worth of illegal drugs through the Bureau of Customs (BOC), which also prompted Sen. Manny Pacquiao to renew his call for the imposition of the death penalty on high-level drug traffickers. Pacquiao filed Senate Resolution 843 seeking an investigation into the smuggling of the methamphetamine hydrochloride or “shabu” through the BOC that was estimated by the Philippine Drug Enforcement Agency (PDEA) to be around P6.8 billion. “It (drug smuggling) really angers me. I fee like – if we arrest those who smuggled those drugs, line them up with the huge drug haul in front of the people and be executed by firing squad,” Pacquiao told reporters in Filipino yesterday. “I prefer firing squad to set an example to foreigners who bring drugs into the country. Can you imagine, we’re two years into the war against drugs and they brought in P6.8 billion in shabu,” he said. He also said there is urgent need to address the apparent lack of coordination among the BOC, PDEA and the Philippine National Police. Senate President Vicente Sotto III renewed his call for Malacañang to create the presidential office on drugs and crime to improve coordination and swift operations in the anti-illegal drug campaign.